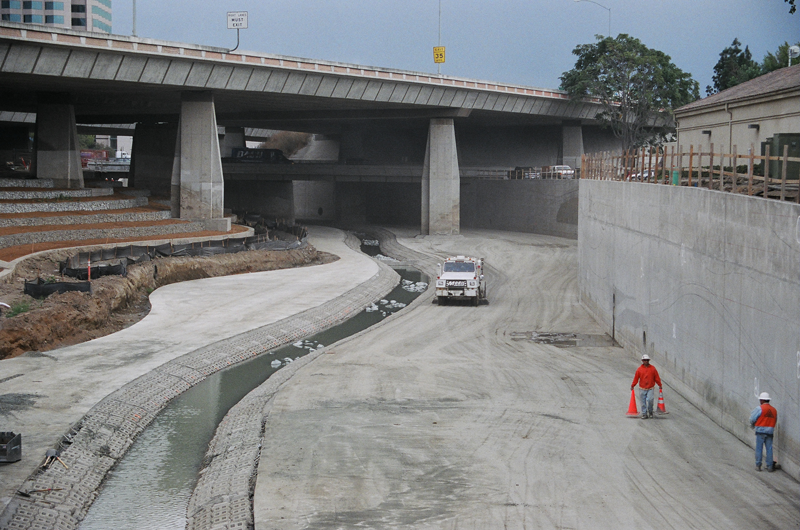 Guadalupe River a Freeway to Extinction for the San Jose King Salmon and Steelhead Trout. It must be dredge or cleaned out on the average of 2 to 3 times in a year. Hundred of yards of gravel, dirt, and mud are scooped out so King salmon and Steelhead Trout can move up river. 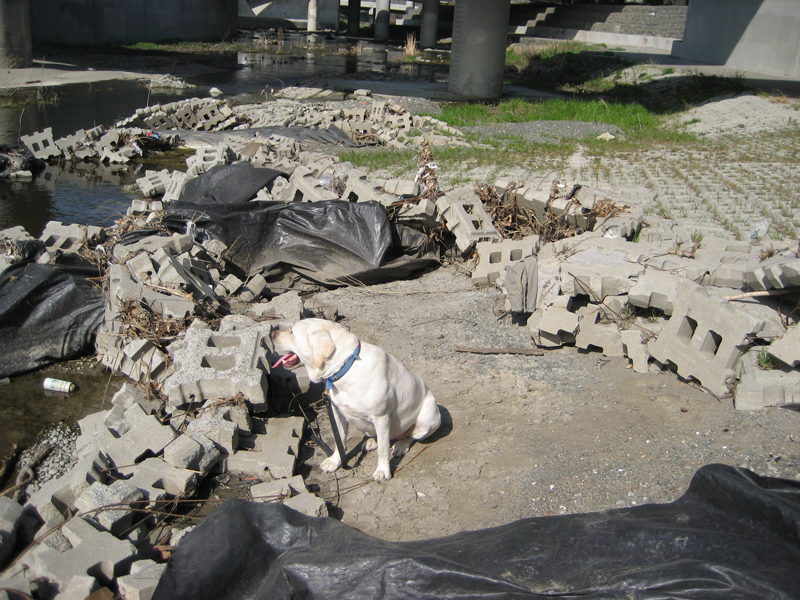 An average 65 % of the King Salmon used areas downtown to spawn, in drought year 100% of the salmon must spawn or nest in areas that been destroyed by the new Concrete River. And its costing millions of dollars to keep it clean for fish passage. 16 report started by the (SCVWD). Not one report ever finishes or completed only patch job and catastrophic failure like the one in this picture at taxpayer expense. 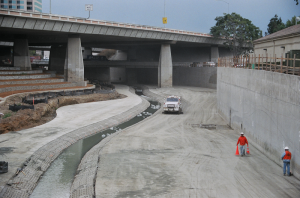 Catastrophic failures of the Down Town Flood control now stop all migration through the matted concrete channel. And homeless are found taken the reamaining fish. It may also be the most dangerous river in the state because of failing anchor rod, which hold down concrete mat. More than half of anchors are missing or badly damage. Leaving president with next large storm could create one of the most catastrophic floods in recorded history. After Project implementation in 2002 King Salmon started to decline not just being affected by the immediate area but carry host of problem all the way to City of Alviso. Only dozen or so salmon seen 2007,and 2012 less eight salmon down from the hundreds and thousand seen in earlier years. To learn more log onto WWW.silichip.org on how you can help. ← People behaving badly in our streams. Squatters in San Jose.